This photo from the 1926 Open Pit yearbook shows the senior high's original appearance. The senior high was Eveleth's third high school constructed in less than fifteen years. The board considered building an addition to the existing high school but ultimately decided on a more campus-like arrangement by building the new school east of the Manual Training building. 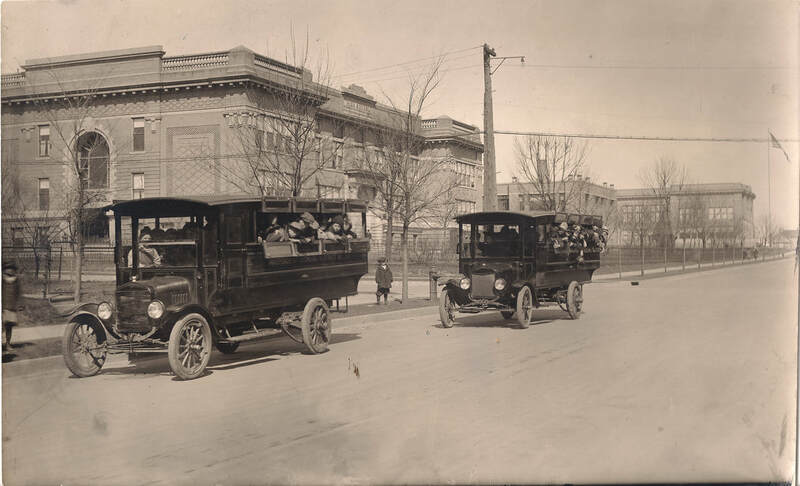 Students began occupying the senior high in February 1918, and it was officially dedicated in May. 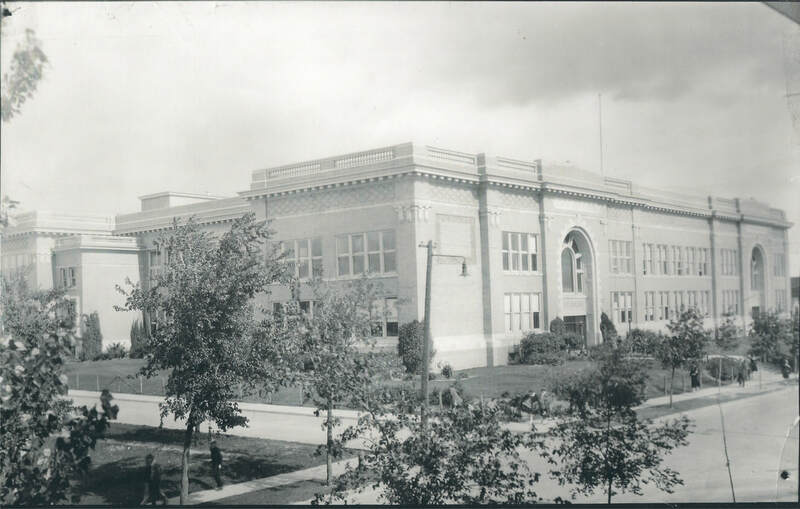 The May 16, 1918 Eveleth News said, "Eveleth's new senior high school is considered by authority of the state board of education to be the most remarkable educational institution in the state of Minnesota.... It is possible now to teach any course of study that is desired and the board of education will make arrangements to introduce any new course in the system that is desired by a sufficient number of students." The school contained two swimming pools, a gymnasium, an assembly hall, laboratories for science, agriculture, and business classes, as well as general classrooms. The building also featured a "completely equipped electrical laundry," a vacuum cleaning system, and eighteen shower baths. According to one article in the Duluth News-Tribune, architects said Eveleth's school buildings and campus-like arrangement were "superior to any public school system in the United States." The school cost a total of $270,000, which included $221,000 for the building, $34,000 for equipment, and $15,000 for the site. A greenhouse once extended out from the building's south side to the left of the main entrance. A new gymnasium and an addition for Eveleth Junior College were completed by 1927. The original gym became the girls' gym and is now the Senior High media center. The auditorium (also called the assembly hall) was converted into the Boardman Auditorium in 1942, at which time an inclined floor was built, new seats were installed, and theater storage and dressing rooms were added on either side of the stage. An addition for science classrooms was built in 1999. Many spaces in the Senior High have changed considerably since 1917, but it has been modernized and continues to serve Eveleth-Gilbert students in grades nine through twelve. Looking east along Jones Street at the Eveleth school campus, circa 1920. The senior high is at the far right. The senior high and junior college building in the 1930s.